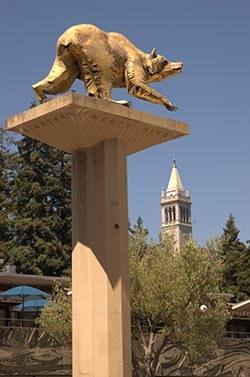 The UC Berkeley Seismological Laboratory (BSL) regularly hosts visiting scientists with an interest in either working with the BSL geophysical datasets, or with a member of the BSL research community. The BSL is able to provide a workspace, access to its computer systems and the complete data archive, and access to the faculty, research staff and students. Visits typically last from a few weeks to one year. Those interested in visiting should first contact the BSL researcher with whom they would like to work. After some initial planning by the visitor and BSL researcher, an application should then be submitted to the director, Richard Allen. Applications will be considered at any time, but applications for fall visits have a target deadline of March 31, and applications for spring and/or summer visits have a target deadline of August 31. Applications will be evaluated based on the mutual scientific benefits of the visit, and the number of visitors is subject to available space. Note that BSL is not able to cover travel or salary costs. Applications should include a cover letter stating the purpose of the visit, the people with whom the visitor would like to work, the desired start date and duration, and the anticipated outcomes. A CV should also be included. For more information, contact the BSL researcher with whom you would like to work. Contact information for BSL researchers is available in the BSL directory.